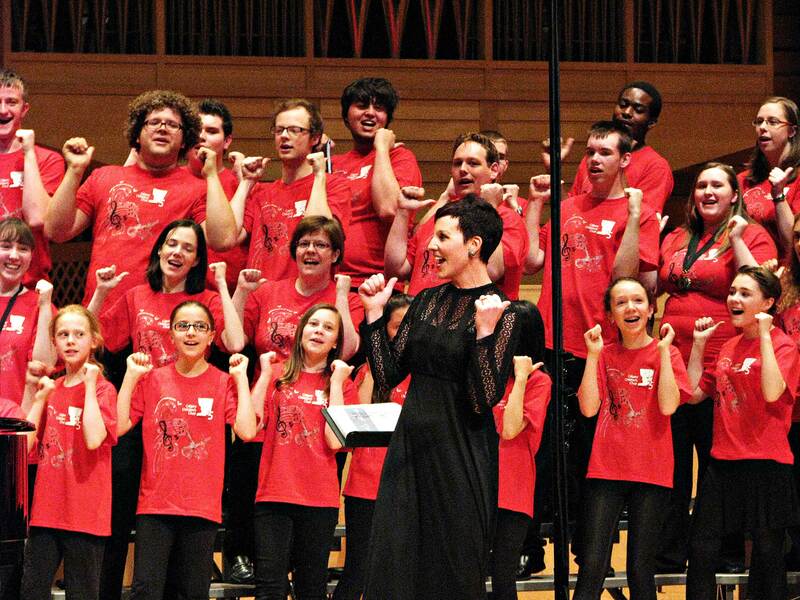 The goal of the Calgary Youth Choir Organization (as the Calgary Children’s Choir was originally known) was to create a singing environment whereby a love of singing is embraced and developed. In the past, singing was a part of any family or cultural gathering. School music programs, where once singing was the core of the music program, have now become centred around band programs. So it is up to choral programs like the Calgary Children’s Choir to give each chorister a positive experience with singing that they will, as they mature into adulthood, seek out a place to sing. Some may want to pursue a career in singing but many will not. For those who do not, it is hoped that the positive experience of singing in the choir will have them, as adults, seek out a community choir to join. Creating a joyful choral experience can come in many forms. Perhaps it is experiencing that perfectly pitched chord or singing a song with total abandonment. It could be learning a piece of music by a great composer or singing “fun” songs around a camp fire. But what is pure joy for one child may not at all be what gives joy to others. Engaging hearts and minds creates a true joy in singing! Is the choir living up to the motto? From what I have observed, most definitely, yes! The repertoire and activities of the choir are very broad, providing a diverse experience for the choristers. The pictures from the Halloween concert, the recent choir tour, etc… showed the choir full of exuberance, and joy! The Faure Requiem, with the adults joining in, gives the choristers a marvelous opportunity to see that singing can be a lifetime activity. So, do you think the Calgary Children’s Choir motto reflects our values? Tell us in the comments below! It is said that ” A picture is worth a thousand words”…..and so it is with the photo attached to this blog on the motto of the choir! Thank-you so much for your thoughts on the choir motto, Rosemarie! You have created a wonderful place for people to create joy from singing!